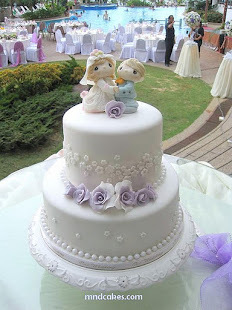 Our cake price is mainly determined by complexity of design, technical difficulty and size of it. Accessories added and presentation of a cake is also taken into consideration and we couldn't ignore amount of time involved in executing a design. 3D figurines like farm or jungle animals, cartoon characters, bride and groom etc. Sugar flowers like roses, peonies, orchids, ranunculus, magnolia, hydrangeas, lilies, daisies and fantasy flowers etc. Dark Chocolate Indulgence, Minty Dark Choc flavours, Light Fruit Cakes or other specially requested flavours. Optional filling, nuts, mixed fruits etc. We have 3 sizes of cupcakes, S, M, L but we use M size (5.5cm in diameter) mainly unless there is special request. The cup is coloured souffle cup which holds the cupcake better in shape and looks sweet and nice. Each 2D cupcake (from RM6) and 3D cupcake (from RM15). Each set of 9 pieces cupcakes costs from RM100 (include 1 pc of 3D toppers and the rest 2D). Each set of 12 pieces cupcakes costs from RM150 (include 2 pcs of 3D toppers and the rest 2D). 100 pcs above - Please call for quote. * You may add fondant topper for buttercream cupcakes. Price subject to design. * Individual plastic container or paper box available for cupcakes on special request and additional cost.